Learn the core functionality needed to become proficient in Excel, from cell navigation and selection to writing formulas and sorting data. Learn how to do lookups on large datasets, build pivot tables and perform complex statistical analysis. 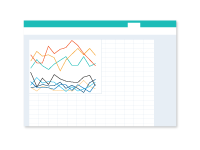 Charts and dashboards quickly summarise and generate insights from your data. Learn how to create these tools effectively in Excel. Learn how to build models that help business solve complex problems. This course assumes you have intermediate-level Excel skills. Investment valuation is a hugely beneficial skill in business. Learn both valuation theory and how to build valuation models. Macros and VBA extend the functionality of Excel, enabling you to automate certain tasks and create much more complex formulas. Data Analysis Expressions, or DAX is the formula language used in Power Pivot. Learn about the main functions of the language and how to use them in these courses. These courses take an in-depth review of formulas and calculations in Tableau. The software has it's own language for writing formulas which you will master in these courses. At the core of Power BI is the ability to create compelling visuals and assemble them into dashboards. These courses will show you how. See how the visualization and DAX capabilities of Power BI can be applied to a practical example. 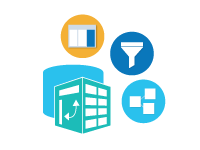 Learn how to apply advanced modeling tools in Alteryx. These courses build off of concepts covered in the Statistical Analysis course. These courses will take a deeper look at some real-world applications of Alteryx. Do you have any recommendations for new or existing courses? We'd love to hear your thoughts.